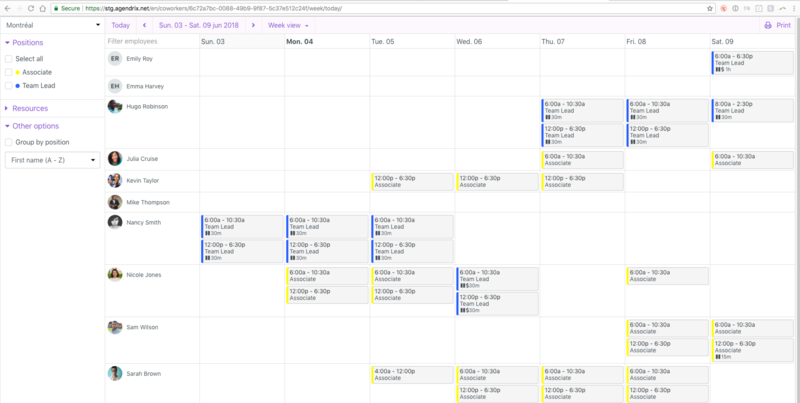 You can know create time offs for all of your employees at once. This comes in very handy when scheduling for a Public Holiday. More details in this article. 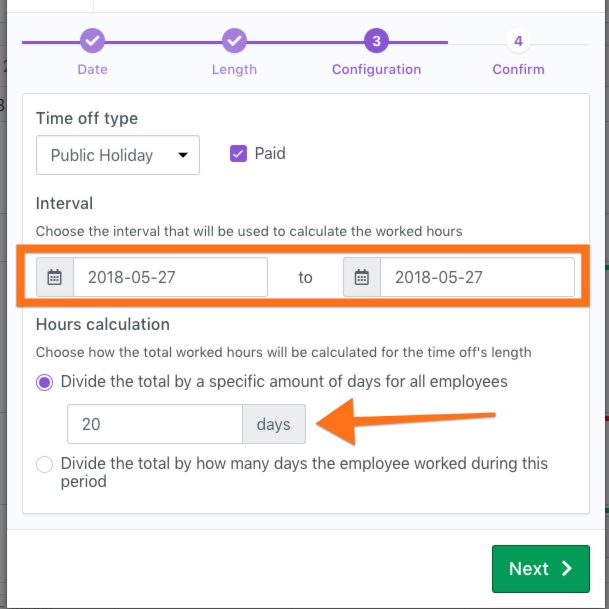 With the bulk time off creation feature we have added a way for you to calculate the entitled holiday pay. This feature is reserved to Pro plan users as it requires the Time and Attendance module. Admins can now create an URL link that can be shared in a way to allow external people to consult the schedule in a view only mode. Here are steps to create the URLs. 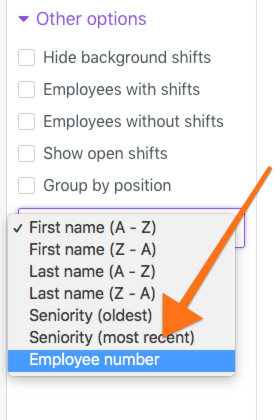 Employee order can be rearranged to follow employee numbers (in their profile) adding to alphabetical and seniority as options. This option is available in the scheduler, reports and payroll export. The labor cost tool has been scoped to locations in the past. There is now a new layer allowing for a better projection of labor cost by position. Go in the "more" button and then in "Manage all projections". 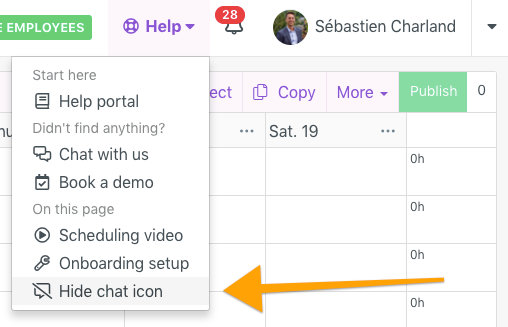 You can hide the chat icon if it is hindering your view of the schedule and labor cost tool. You can now print the notes left in the file of your employees in a convenient way. Supervisors' time off requests must now be approved by a manager or higher. Supervisors can't approve their own requests anymore.